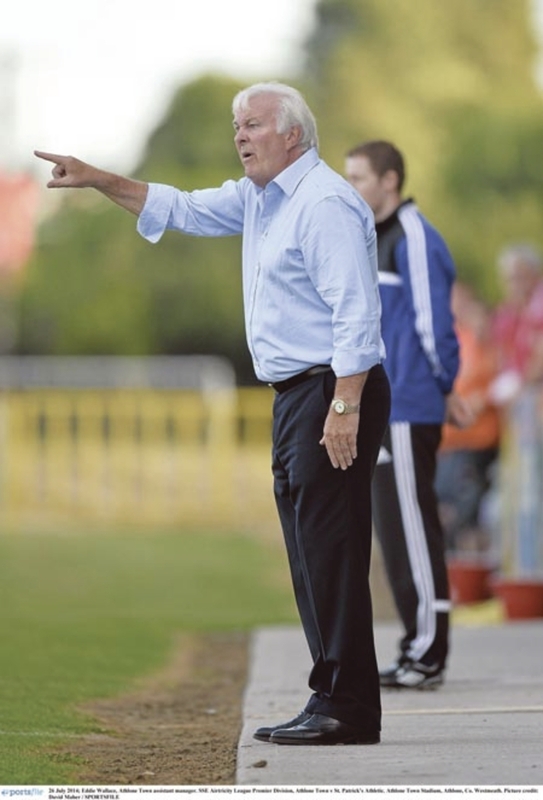 Eddie Wallace, who served as assistant manager to Keith Long, has been named as the new manager of Athlone Town. With Long succeeding Owen Heary as the new Bohemians chief at Dalymount Park, the Athlone Town committee swiftly released a statement last week about Wallace’s appointment. “The committee have acted immediately in appointing Eddie Wallace as manager for the forthcoming 2015 season. Eddie brings a wealth of experience to the club as was evident in the calibre of players signed during his period as assistant manager to Keith Long. Athlone now want to build on the impressive work Long carried out during his spell in charge of the midlanders. “We wish Keith every success in his new role and thank him for the hard work, commitment, and determination shown by him during his short period with the club and achieving a relative degree of success with the team who had accumulated nil points when he took over as manager,” the statement said. “As everybody is aware Keith was ably supported by a strong management team which kept us in contention right up to the last day of the season. A very strong squad of players had been assembled and many would agree that it was a squad which was representative of a mid-table team within the Premier Division.